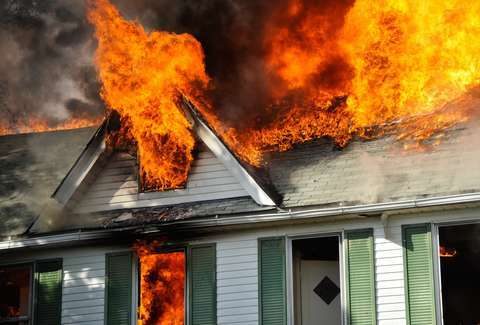 When the fire department showed up at the scene, the man opened the door, uttered the words "I'm sorry," and proceeded to shut the door again. The police eventually escorted him from the inferno, while fire fighters put on oxygen masks to battle the flames. The fire department said he likely would have died from excess smoke inhalation had he not left the building. The man, on the other hand, was too blitzed to notice. The moral of the story: Florida is still the worst state in the union. But maybe it's the best.